How to change graph type? I’m scratching my head at what ought to be a really simple answer. I just bought a Monoprice 4-in-1 zwave plus sensor, and when I look at the various values they’re graphed strangely. 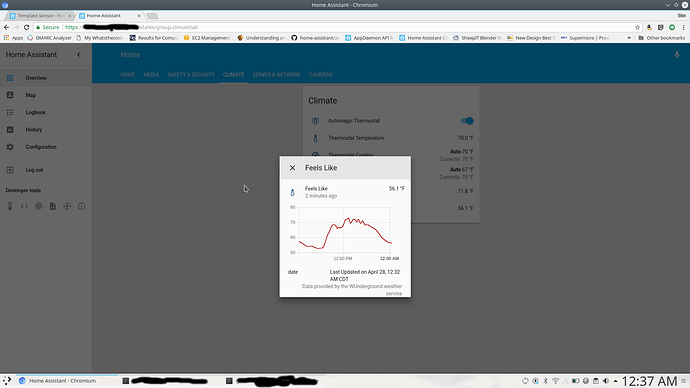 Instead of the normal line graph you’d expect to get with temperatures and the like, I get the bar graph you normally see with binary devices. 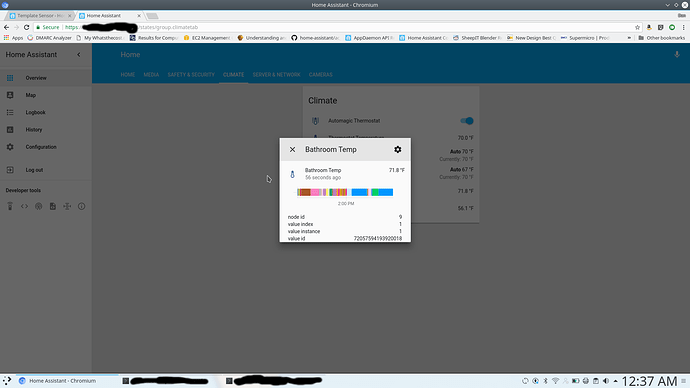 HA seems to know that it’s a temperature (the units displays as °F for the temperature) so I’d expect it to show a line rather than a bar. So how do I get these values to graph properly? It may be necessary to purge old history data for this to work (or, wait for 24h if this is the timeframe of the plots). See Multiple devices/components, differents historic vizualisation for further information. Logged in just to say, “Thank You”. I was pulling my hair out why one sensor (of course, after I tweaked with its “unit_of_measurement”) wouldn’t go back to being the old bar graph etc. After searching quite some time, came across your post. Deleted the DB, CTRL+F5, and it’s back to being the way it was supposed to be. The “delete tables” for the corresponding problematic entities was the most precious hint in last days !